Tour de France contender Alberto Contador has lost one of his key support riders for this year's race because of a possible doping offence. 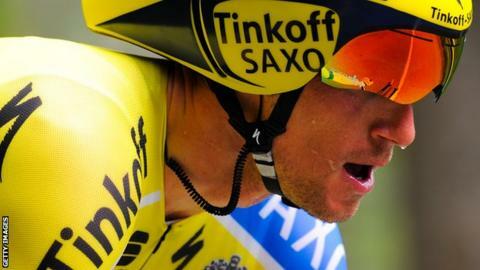 Czech Roman Kreuziger is expected to be investigated for blood abnormalities detected in 2011 and 2012 at Astana. Two-time winner Contador is a big threat to holder Chris Froome when the race starts next Saturday in Yorkshire. Kreuziger was fifth in 2013, when Froome emulated the success of fellow Briton Sir Bradley Wiggins. "The team has decided, in agreement with Roman, that he will not ride in any races including this year's Tour de France until more information becomes available to the team," read a Tinkoff-Saxo statement. Spaniard Contador was himself banned for doping in 2012.